After just five years, MEDA, the lead agency of the Mission Promise Neighborhood (MPN), now runs the largest free tax preparation program in San Francisco. While things are super busy during the first part of the year, with everyone trying to meet the April 15th filing deadline, there are still plenty of clients coming through the doors of Plaza Adelante, the Mission neighborhood center, throughout the rest of the year. The numbers, based on neighborhood surveys, tell the story: the majority of MPN families are defined as low- to moderate-income. Most refunds come from the Earned Income Tax Credit (EITC), a refundable tax credit for low- to moderate-income working individuals and couples. The amount of EITC benefit depends on a recipient’s income and number of children. The MEDA tax team is well versed in the EITC, plus all of the tax credits available to the low-income community. One perk of taxes being done at MEDA is that every tax return is checked by two preparers, as mandated by the VITA program. “It is always good to have a second set of eyes to look at the numbers. This doesn’t happen at some tax services. We correct a number of returns that were incorrectly prepared elsewhere,” states Moy-Borgen. MEDA Bilingual Bank Teller program graduate Angelica Colon-Chin, now starting a successful career as an employee of Wells Fargo at its downtown San Francisco branch, needed to do her taxes last winter. That’s when the organization’s Technology Training Manager Leo Sosa advised Angelica to head over to the “Taxes Plus: Go Further With MEDA!” room at Plaza Adelante, where her taxes could be prepared at no cost. The young adult then told her aunt to do the same. So, Laurie Chin and Maged Nabawy headed over from their nearby Mission District residence to Plaza Adelante. While calculating their current year’s taxes, the astute preparer realized that the prior two years’ returns should be amended: it turns out that the prior tax preparer did not take into account the IRS’s “Nonresident Spouse Treated as a Resident” rule. This rule states that if, at the end of your tax year, you are a U.S. citizen or resident alien (even if you were not for the whole year) and married to a nonresident alien, you can choose to treat your nonresident spouse as a U.S. resident for U.S. Federal Individual Income Tax purposes. This is an especially smart move if the overseas spouse did not have much income. Such was the case with Maged, who had been working in his native Egypt since 2011. When Maged’s income was added to Laurie’s earnings, they then got two times the standard deduction and personal exemptions on federal and state returns. The result? A $2,585 refund! In this couple’s case, MEDA also worked with the nonprofit Bay Area Communication Access, as Laurie and Maged are both deaf and needed an interpreter for their tax sessions. It’s interesting to note that Laurie’s mother, Florence, later came to one of MEDA’s monthly Housing Opportunities sessions, this one a free workshop for first-time homebuyers. This story showcases the service-integration model at MEDA’s SparkPoint center and with the partners of MPN, who often come together to provide multiple services to one family. It also exemplifies how a community of support can better lives, as it did for this family from the Mission Promise Neighborhood (MPN) footprint. MPN works on a two-generation approach, helping families succeed so students achieve. In the case of this family, that became a three-generation approach. Single mother Ana Alfaro made the difficult decision to leave her native Guatemala with her son, Jose, with the hope of a better life for her small family. The transition proved traumatic for Jose; this was coupled with a speech impediment that led to the monolingual Spanish-speaking adolescent having a hard time fitting in with fellow students at the eighth-grader’s new place of learning, San Francisco’s Everett Middle School. These issues led to a referral from the Special Education Department to Mission Promise Neighborhood’s Roberto Aparicio, one of a quartet of highly trained family success coaches, whose job it is to help families succeed so that students can achieve. “My role is to connect families to needed services in the community, at MEDA’s Plaza Adelante and 26 partners in the Mission,” explains Aparicio. That is exactly what Aparico did for the Alfaro family, leading to important referrals to services. “Being able to speak their language and to relate culturally helped Ana and Jose relate to me,” continues Aparicio. Jose was connected to an after-school program for accelerated academic support. 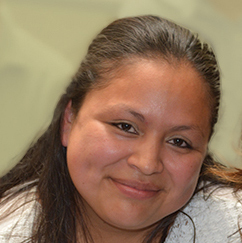 Ana accessed MPN partner Support for Families of Children with Disabilities, where she learned to advocate for Jose at Independent Education Plan (IEP) meetings, plus she was connected with a caseworker. Aparicio also counseled Ana to go to Taxes Plus: Go Further with MEDA, where free tax preparation was available. This was Ana’s initial foray into doing taxes—and a big step forward on the path to financial health. The good news: Jose is now fitting in more during his second year of schooling in the U.S. Aparicio continues to work with the young man, with the ultimate goal of ensuring the latter eventually graduates from a four-year college. That would be a dream come true for Ana, who sacrificed so much so that Jose could have a better life. Ana remains an ardent advocate for her son’s education. She is now transferring her experience into disseminating information in the Mission as a promotora for MPN, under the guidance of Community Engagement Manager Teresa Morales.